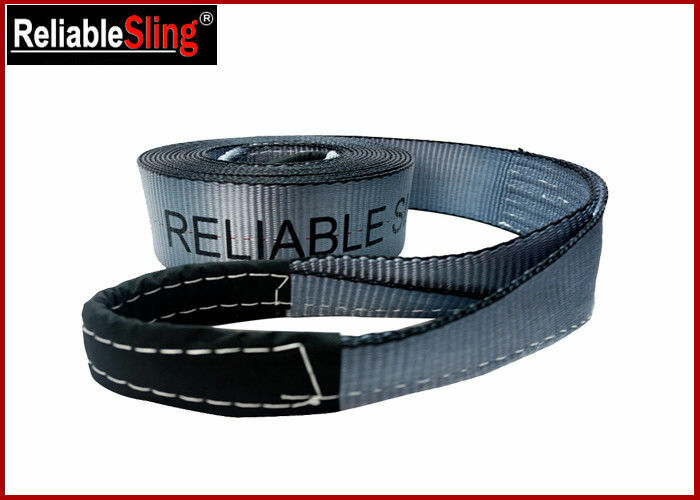 Our recovery / tow straps are made from high quality industrial grade webbing for superior performance and durability. Each end of the strap has a reinforced eyes. Tow strap can resolve the problem of breakdown, destroy or falling car or jeep with the mast simple method . Whether you are a professional tow truck operator or a weekend off road warrior with a pick up truck and an ATV, we have a tow strap, recovery strap to meet your needs. Our complete line of straps will keep your fleet well equipped to handle any roadside situation.Heavy duty sling webbing and reinforced eyes make all of our straps as tough as they are strong. All of our webbing shackles are designed to mate with our towing and recovery straps and they provide a smooth attachment point that will greatly extend the eye life of your straps. 1. The capacity and application should be based on the result of the test, overload is strictly prohibited. 2. No crossover,torsion,knotting and twisting of towing straps when working. 3. Stop fastening if hearing any abnormal noice of the equipment. motivation in conducting our business. valued as the greatest asset and an integral part of the business. delivering high quality services and treating people with integrity. and the information you need on the webbing too.